1250 Hexagon stretcher bars easily allow you to gallery wrap your photographic digital prints in a truly unique way. Why limit yourself to just 4 sides. When you need more let GOframe help you break free and express your self with a six sided gallery wrap. Why limit yourself to 4 sides when you can use 6. Watch the video below to see a truly unique way to gallery stretch wrap your photographic canvas prints. 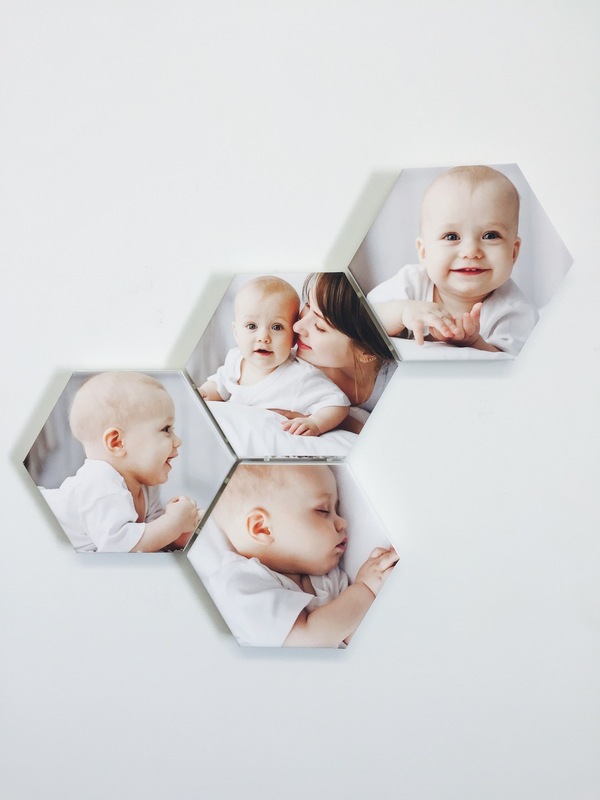 Our Hex wrap can be combined using our GOclip that makes it easy to take multiple canvases and arrange them to suite any space, vertical, horizontal or diagonal. They can be hung from one point and easily changed or added to in the future. Light weight, but made from the same solid basswood as our Pro and standard products, it is possible to create an array of 10 or more canvases clipped together with the GOclip. Download Photoshop template of Hexagon. Simply replace bottom layer with image.